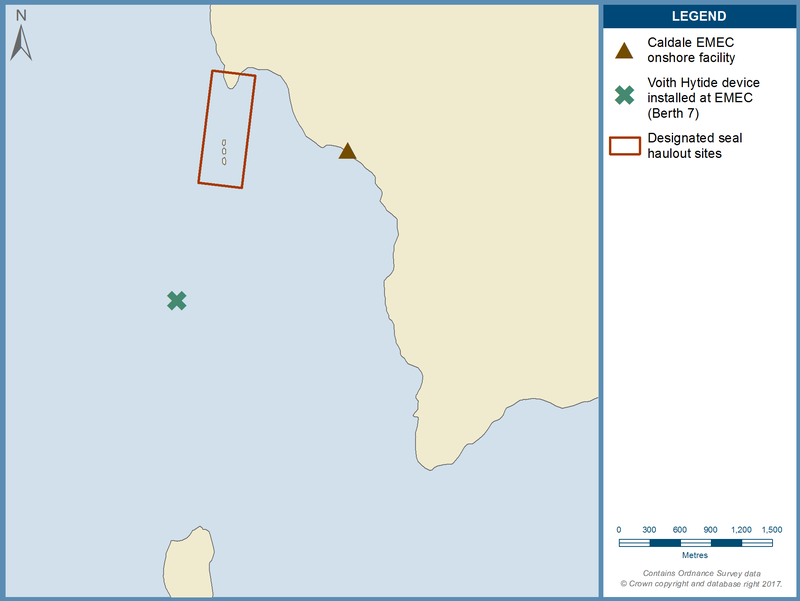 Map of seal haulout sites. A monitoring programme has been undertaken aimed at assessing the abundance and behaviour of harbour seals Phoca vitulina at haul-out sites in close proximity to the EMEC tidal test site before, during and after installation operations. Monitoring of Seal Skerry and Seal Skerry Point haul-outs began in 2010 and continued throughout the installation operations of the Voith HyTide turbine in 2011. Data were collected while the turbine was operating, between 22nd May and 29th September. Fall of Warness HyTide 1000 Observational Data of Seal Haul-Outs During the Breeding Season is located in United Kingdom.